Foo Fighters will headline the Friday night at this year’s Glastonbury festival. The rock band announced the news after being named best international band at the NME Awards. 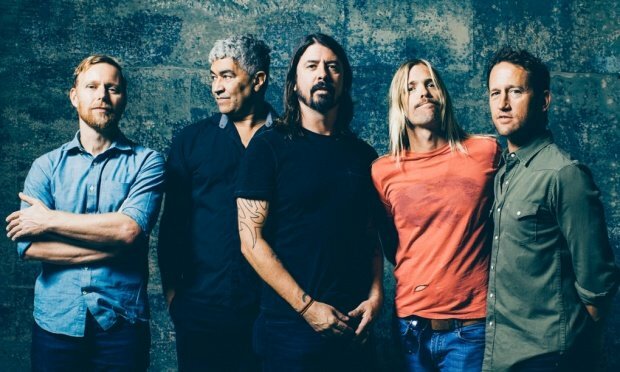 In a video message, singer Dave Grohl confirmed they were returning in the summer for the festival. They’re the first big act to be announced. Foo Fighters were unable to attend the ceremony in person, but Dave Grohl sent a video acceptance speech instead. “We’re very thankful and very happy – sorry we couldn’t make it tonight, but we will be seeing you over the summer at some big outdoor festival that nobody knows we’re playing. It’s Glastonbury. Co-organizer of the festival, Emily Eavis, was at the award ceremony: “They are one of the greatest live bands on the planet, they’re just incredible. Foo Fighters are already playing a series of dates later this year.